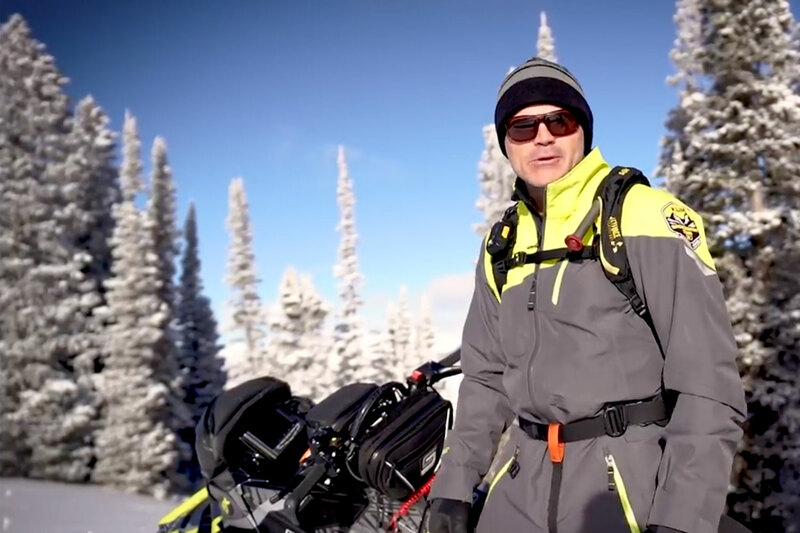 Ontario snowmobiling can look forward to a good winter according to Dave Phillips, senior climatologist for Environment Canada, and that forecast sets the celebratory tone for Get Ready to Go Snowmobiling Week, November 22 to 28. This annual launch of winter by the Ontario Federation of Snowmobile Clubs (OFSC) invites Ontarians to discover the many social, health and recreational benefits of snowmobiling, including the world's largest recreational trail system. As its name implies, Get Ready to Go Snowmobiling Week is also the cue for OFSC snowmobilers to start making ride plans and preparing sleds and gear. Sled dealers and snowmobile clubs across Ontario are marking Get Ready to Go Snowmobiling Week with open houses and other special events. Get Ready to Go Snowmobiling Week is also the last full week for purchasing Seasonal Snowmobile Trail Permits at the pre-December 1st fee of $200. This season, Get Ready to Go Snowmobiling Week also celebrates many OFSC firsts to improve the rider experience, including: Snow Guarantee: Riders who buy a 2011 Seasonal Snowmobile Trail Permit on or before December 15, 2010 can get paid cash if it doesn’t snow this winter. OFSC 2011 permit members can purchase the OFSC Snow Guarantee online at www.snowguarantee.ca for $10 (tax included) on or before December 15, 2010. New Website: The OFSC's new public website is totally revamped for this season with a new look, improved navigation and better information. The OFSC is also now on Facebook and Twitter, and its eNewsletter is going to a qualified list four times this season. Interactive Trail Guide: The new Interactive Trail Guide features the most accurate and up to date display of the entire 34,000-kilometre OFSC trail network available anywhere. As it becomes fully integrated and functional this season, OFSC snowmobilers will be able to plan their rides, check for in-season re-routes and detours, and view the latest, colour-coded trail status updates online. iSnowMobile: OFSC snowmobilers can check trail status from their iPhones by downloading the entire OFSC trail network directly from the Interactive Guide with the OFSC's new iSnowMobile app (available at www.apple.com/iphone for $2.99). Routable GPS: Snowmobilers who ride with their Garmin, Magellan or Lowrance units can now purchase routable or non-routable versions of the OFSC provincial trail system on a base map that also includes detailed lakes, rivers, roads, etc.